A couple of years ago we planted some rocket and it was great the first year, but the second year it got a bit too large and bitter, plus it had strange white spots all over it. 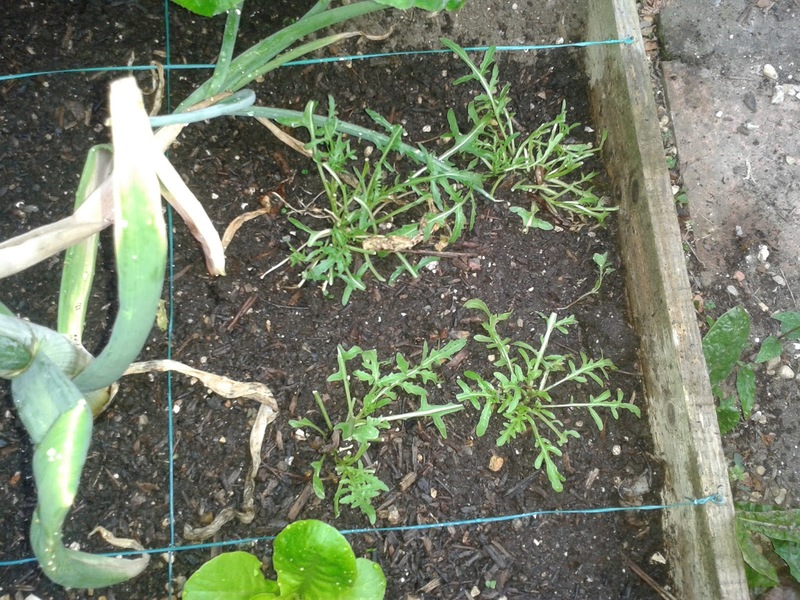 When we relocated our herb garden to make a bit more space to grow vegetables we dug up the remains of the rocket plant and added it to the compost heap. I thought that was the last I would see of that! 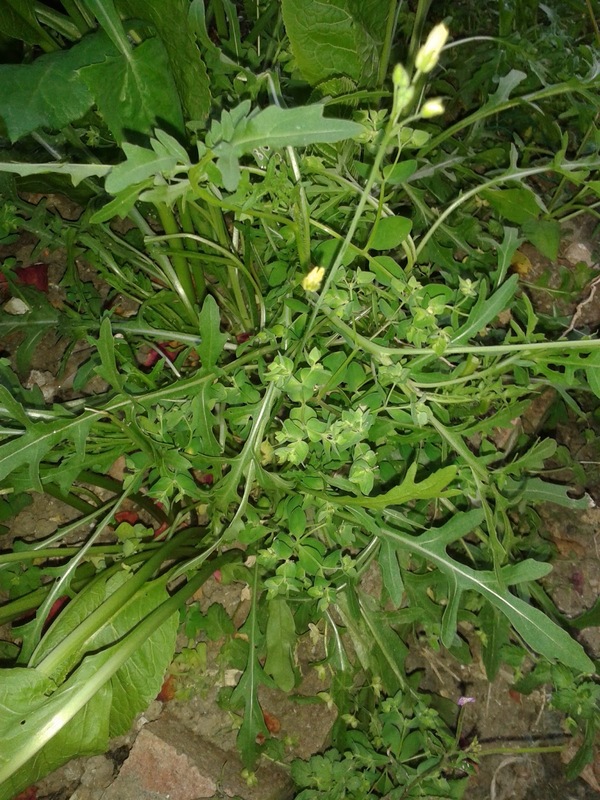 However in the last few weeks I started noticing rocket plants everywhere – in my strawberry planter where sadly I have no strawberry plants this year. In the bed where the original plant was and even in the cracks in the nearby pathway! I have rocket plants coming out of my ears! We relocated a few to a spare space in one of our raised beds and they are doing well. Some I am picking regularly for salads and some I am allowing to get a bit bigger. The larger leaves have a very strong flavour, but work well in stir fries! 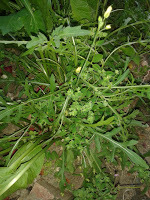 It was great to find that the plants had self -seeded and that we are producing so much of it! Are you growing rocket? Do you have any tips on how to take care of it, or any recipes using it? Please feel free to share them in the comments below. This has been shared at Waste Not, Want Not Wednesday. This entry was tagged eco, Frugal, Green, grow your own, home growing, homegrown, thrifty. Bookmark the permalink. ← We have a foreign student living in our house!